Finance is an essential aspect to nearly all individuals and organizations, and a financial advisor is a professional that assists with financial planning and related tasks. 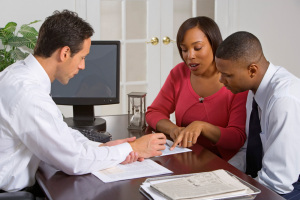 A financial advisor helps people manage their money to reach their financial goals. Financial advisors commonly work for small and large organizations, and some are self-employed. A financial advisor meets with a variety of clients to discuss their short-term and long-term financial goals, budgets, and reducing debt. He or she assists with planning of certain circumstances, such as retirement or education expenses. He or she also educates clients on investment opportunities and recommends various financial services, such as stocks and bonds, mutual funds, insurance, and interest-generating accounts. Many financial advisors select investment opportunities on the behalf of clients and monitor the accounts to make the necessary changes to improve performance. 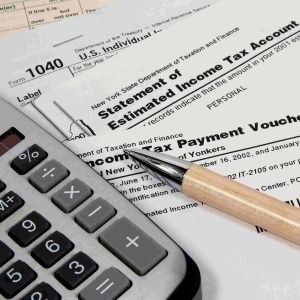 A financial advisor may also offer tax advice and help clients complete their tax returns. A lot of financial advisors specialize in a specific area, such as risk management or retirement. Many financial advisors spend a lot of time marketing their services to generate more clients. A minimum of a bachelor’s degree is typically needed to become a financial advisor. Many financial advisors have degrees in finance, accounting, economics, mathematics, and business. Common courses that help prepare for financial advising careers include investments, taxes, risk management, financial management, budget planning, estate planning, and business law. Some individuals gain a master’s degree and certification from professional organizations, such as the Financial Planning Association or North American Securities Administrators Association, to become competitive in the field and pursue advanced job opportunities. Financial advisors who buy or sell stocks, bonds, and insurance must be licensed. Many must also become registered with the Securities and Exchange Commission. In order for financial advisors to become successful, they must possess certain skills. Analytical skills help financial advisors determine investment portfolios and they must consider various information, such as economic trends, regulatory changes, and a client’s willingness to take risks. Interpersonal abilities are essential because financial advisors must be able to provide comfort to clients and establish trust to respond effectively to questions and concerns. Math skills are necessary because a financial advisor constantly works with numbers. Good sales abilities are also important because a financial advisor must work to expand his or her client base by selling various services and products. In 2014, the average salary for financial advisors was around $50,000 per year. Actual annual salaries for these professionals vary on a variety of factors, including location, employer, education, experience, and professional certifications. Also, many financial advisors earn bonuses on top of their yearly pay. According to the Bureau of Labor Statistics, the employment of financial advisors is projected to increase 27 percent by the year 2022, which is deemed much faster than average for all professions. This growth rate expects an addition of more than 60,000 jobs over the next decade. The aging population and retirement needs are driving factors on employment growth of financial advisors. Financial planning is an essential aspect of money management for a variety of individuals and entities. Working as a financial advisor is an excellent option for those who are interested in numbers and helping people meet a variety of financial goals.